As a 37-year retired veteran of the Lafourche Sheriff’s Department, Mr. Wilbert Brown has enjoyed a long and eventful life. He loves his family and that is evident in the relationships that he has with his wife Audrey, their eight children and many grandchildren. Some of the medical issues that he has had to deal with include hypertension, COPD, anemia, DVT and urinary retention. He was always able to manage these issues and able to bounce back with his normal, everyday life. That is until he went in for a hip replacement surgery. There were some complications from the surgery, and his lack of mobility leads to a left buttock pressure injury that started to affect his everyday life. He attempted to self-remedy but to no avail. He knew it was time to try something different, and that is when his home care nurse at Thibodaux Home Health inquired about receiving professional wound care. He was then referred to the outpatient wound healing center at Ochsner St. Anne Hospital and began the healing process, alleviating some of the stress that Mr. Brown was dealing with in trying to keep his wound under control. He was accepted into the program and after 15 weeks in treatment at the wound healing center, the results could not be more tremendous. He is fully healed and no longer has the pain that he had before. He credits the wound healing center at Ochsner St. Anne Hospital for his amazing results. 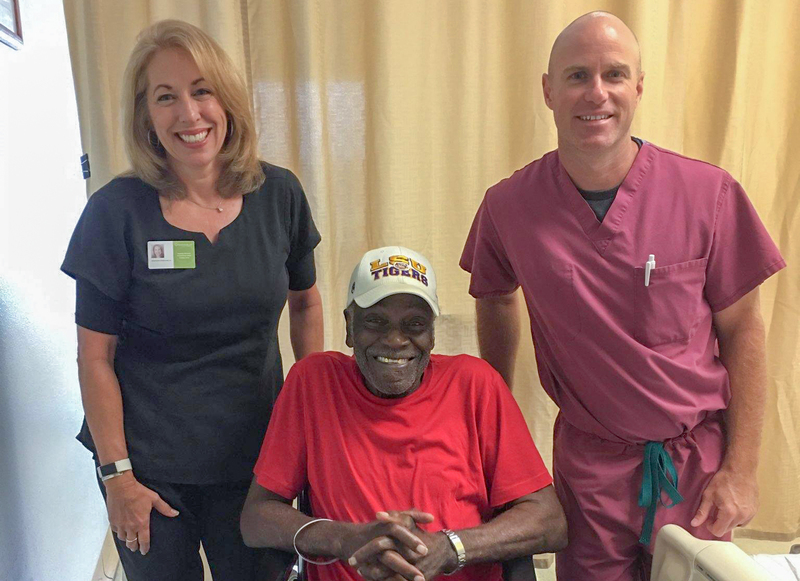 Mr. Brown could not believe the level of treatment and service he received while at the center, mainly noting that the staff was always wonderful and laughing with him. In his own words, they made him feel “at home”.